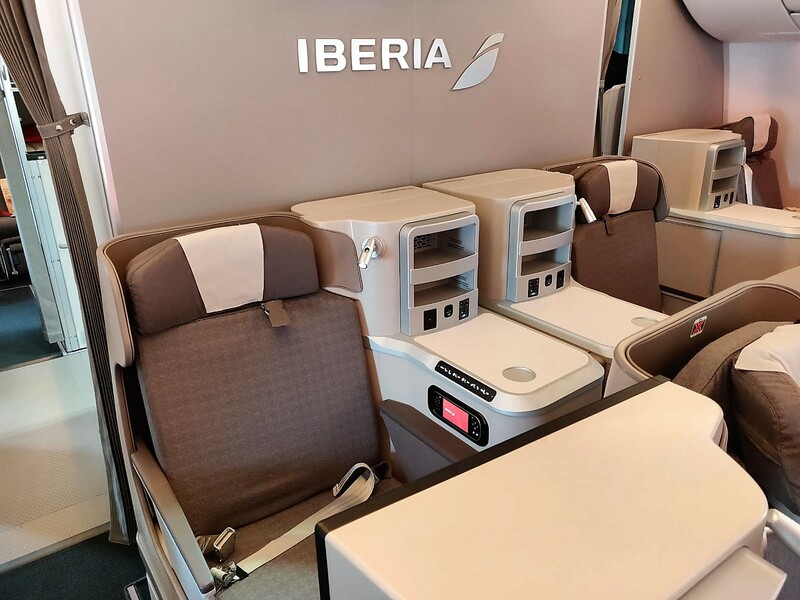 Iberia offers some great value redemptions with Avios such as a business class return from Madrid to New York, Boston or Chicago for just 68,000 Avios off-peak plus £158. The taxes and fees are much, much lower than BA and they have a better route network in South America than BA too. Along with the recent 9,000 Avios promotion, these are good reasons to redeem on Iberia alone. Now that they have taken delivery of the first of their A350s with more modern seats, it is even more attractive. I will be flying the A350-900 a few couple of times this year both short and long haul and will bring you a full review in a couple of weeks. 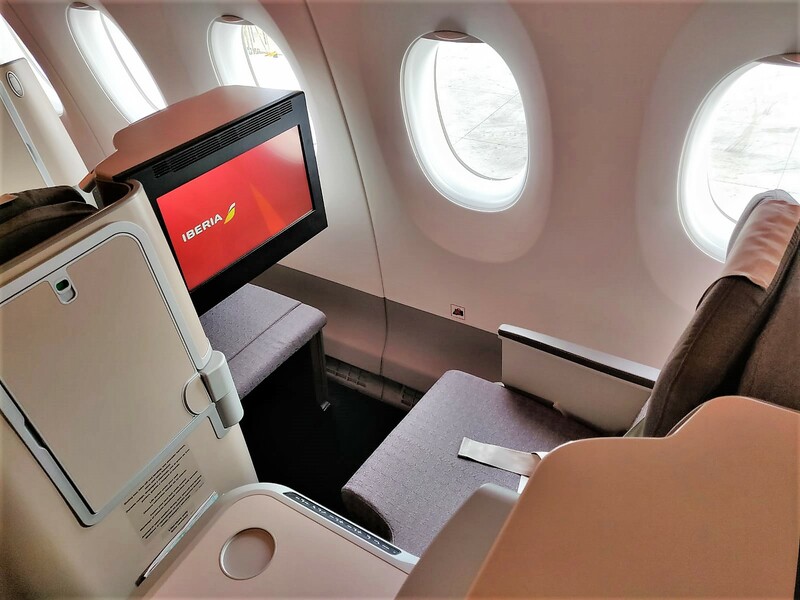 In the meantime reader Paul (check out his IG at @instabatraveller if you want to follow his BA travels) was on the inaugural flight from London to take a first look at what the new business class has to offer. The 31 seats are configured in a 1-2-1 configuration. 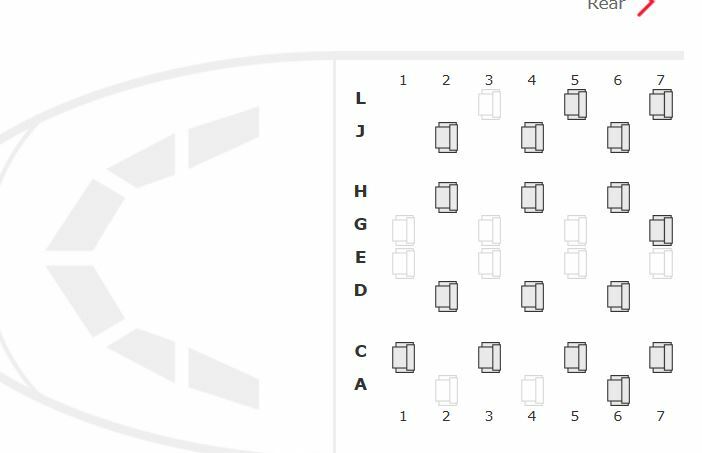 They are very similar to Iberia’s current long-haul A340 business class seats which are pretty good with direct aisle access and plenty of space to put things. However, this version is slightly wider, at 58cm across, as well as having wider footrests. They have added extra storage space and an 18″ HD video screen compared to the 15.4″ on the older aircraft. There is also high-speed internet available. 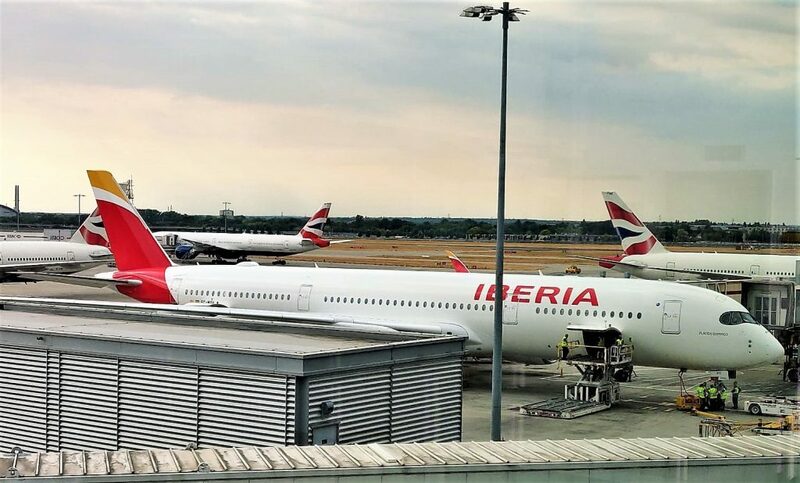 You can see more about Iberia Business Plus here. The centre seat pairs alternate in spacing, so some are perfect for people travelling together whereas the seats with the central tables would be better for solo travellers. The 1-2-1 configuration and wide tables make this a better business class seat than BA although you have slightly less privacy in the window seats. Row A and L seats have more privacy with the table by the aisle. Paul’s initial impressions were that it was more spacious than the A340. Unusually there was a 3 point seat belt with a shoulder strap. The IFE wasn’t working but the screen felt large. There was a handheld remote with a colour mini display and plenty of charging options. Thanks again to Paul for sharing his photos with Turning Left for Less! 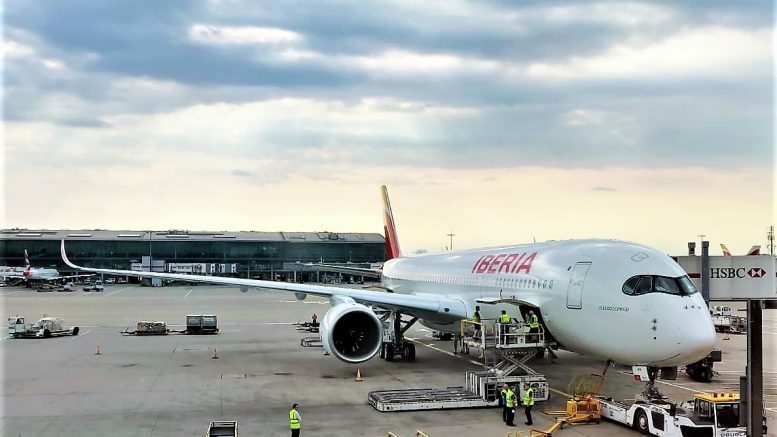 1 Comment on "First look at Iberia’s A350-900 business class – review of inaugural flight London to Madrid"
Looking forward to flying if next month to New York.